Nite-Glo Fire Exit Arrow Left. 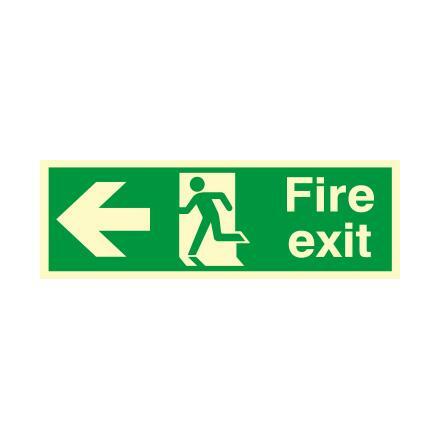 Available in 1.2mm rigid polypropylene or self-adhesive vinyl. Provides high visibility in the dark. 150mm x 450mm.